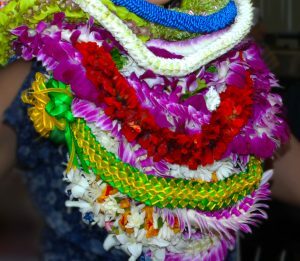 Pre-arranged greeting services provides you with a warm Aloha and Welcome to the Kahului Airport and the Island of Maui. What a wonderful way to start your vacation. Arrangements are usually made by the passenger, or the passenger’s agent or representative, in advance of the passenger’s arrival at the airport. There are flower shops conveniently located throught the airport with flowers and leis available for purchase. Akina Enterprises LLC / Akina Aloha Tours, Inc.
Robert’s Hawaii Tours, Inc. / Robert’s Aloha Tours, Inc.